Home Corporate Blog All Posts 38% of Car Buyers who you think are buying from you, are not. 38% of Car Buyers who you think are buying from you, are not. Dealer ‘capture areas’ are dying in the age of digital marketing. Yes, I know we covered this subject before over a year ago, but just hear me out for a second before you back-click to Facebook because I promise that if you’re in the business of automotive sales or marketing, you will find our statements either interesting or somewhat provocative. 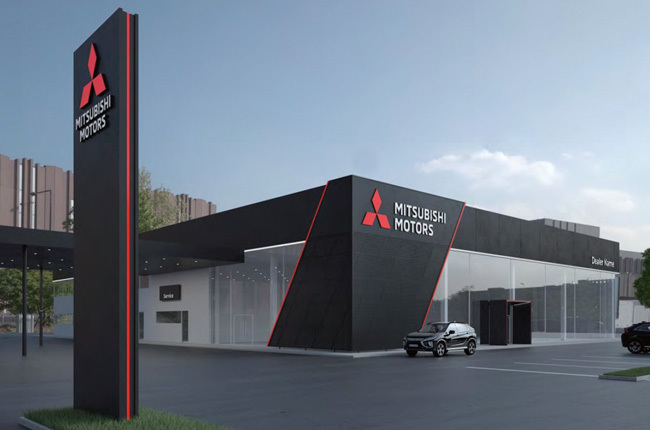 As we’ve mentioned before, the automotive industry of yesteryear operated heavily on the notion of brick and mortar dealerships holding ground in relatively broad geo-locations. These ‘capture areas’ enabled dealers to essentially mark their turf to attract customers within a specific physical radius. Before the internet this of-course made a lot of sense and reinforced the theme of the “neighborhood car dealer”. The model was successful because with little information available to consumers outside of the showroom, most prospective buyers would need to attend a physical location to conduct research and make inquiries. As such, having your territory clearly marked ensured that you attracted buyers from a select populace. However in the new age of digital, customers are more heavily informed than ever before and empowered to shop around from the comfort of their smartphone. As such dealers are now faced with the challenge of not only competing with the ‘dealer down the street’, but with the dealer in an entirely different city or province. 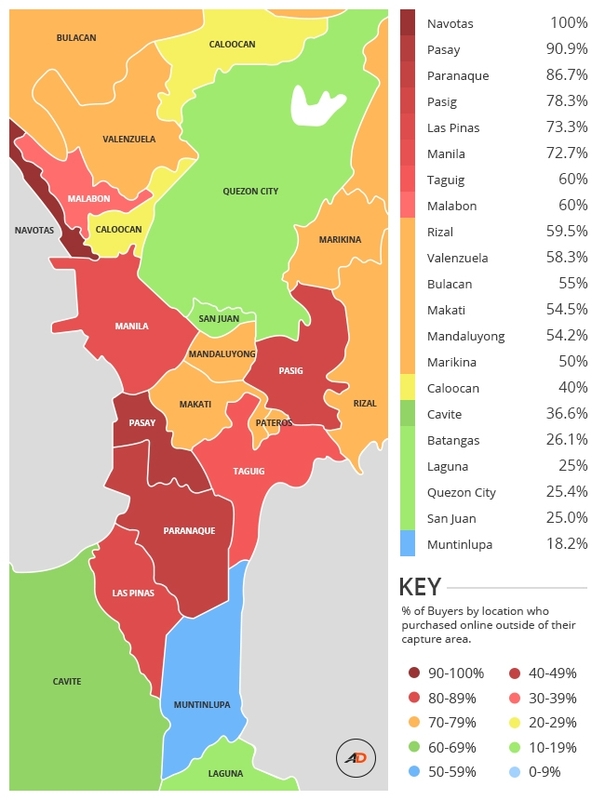 For example, if I told you that your customers are traveling from Quezon City to Makati, you’d probably agree with me; however if I told you that customers from Metro Manila are actually traveling to areas like Laguna, Cavite and Bulacan, you’d probably start to raise an eyebrow (or two). Ok, allow me to weigh in with some data now to substantiate these claims. We recently reviewed a sample of sales generated across the AutoDeal platform from January to June 2017. The data we used was the sales data that had been marked and reported by dealers themselves (versus the sales data that is submitted by customers through our feedback forms). 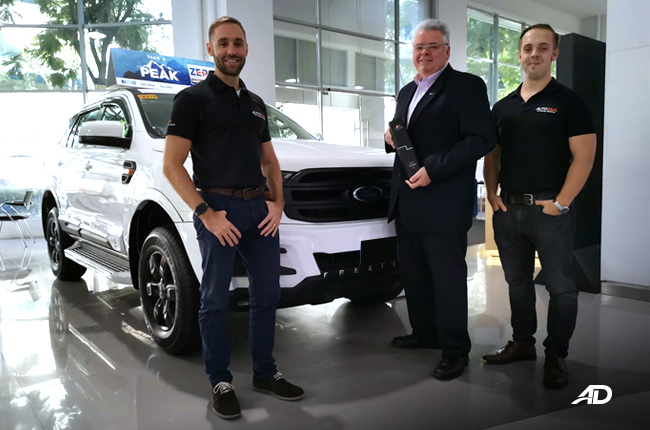 We then cross-referenced the customers location stated on their inquiry with the geo-location of the dealership that they completed their purchase at. 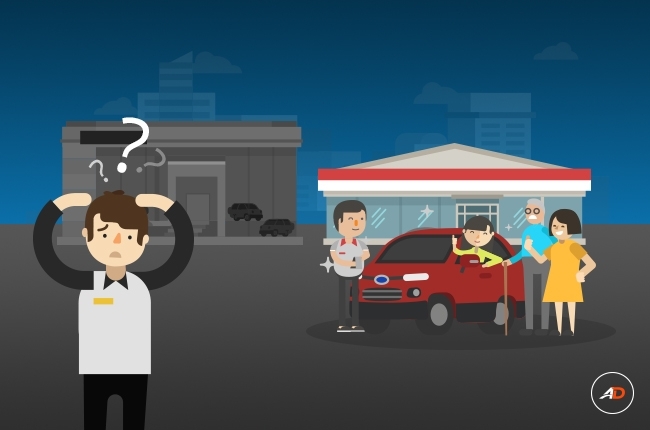 In total, we found that 38% of ALL car-buyers and 59% of Metro Manila buyers elected to bypass their local dealer and purchase from a dealer outside of their traditional ‘capture area’. Furthermore, we also found that car-buyers from specific areas were more likely to travel outside of their capture area to make a purchase. 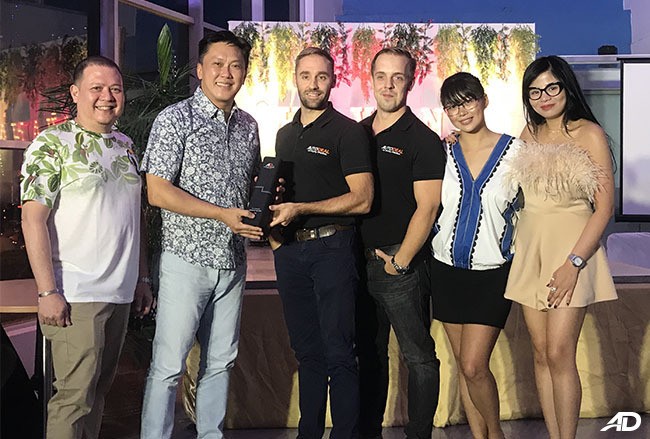 For instance, only 18.2% of buyers from Muntinlupa purchased further afield whereas 78.3% of buyers from Pasig chose to skip across to a dealer from another city. 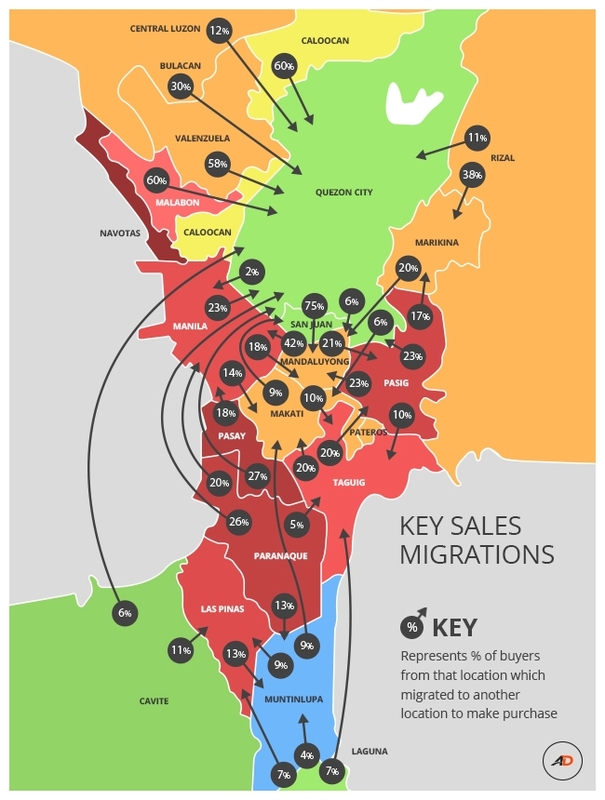 For many of the provinces surrounding Metro Manila, we saw migration into the city, but (get this!) 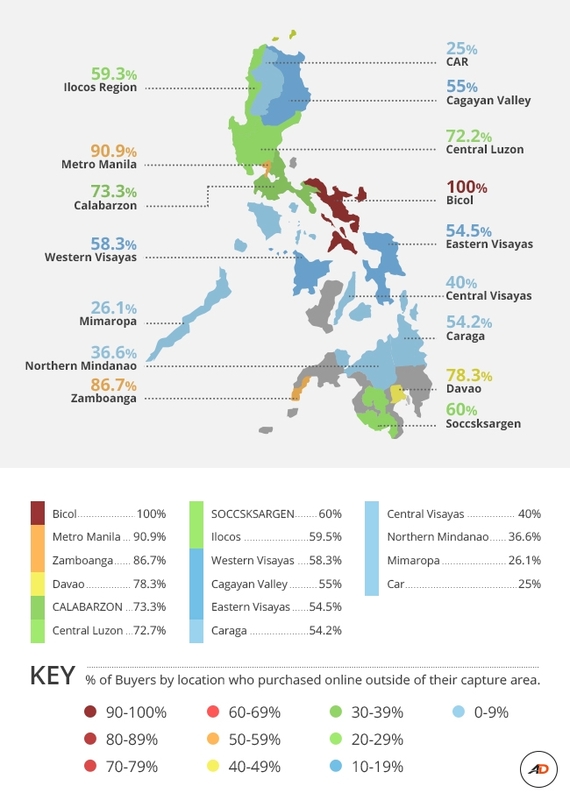 we also tracked reverse migration where customers from Metro Manila visited areas like CALABARZON and Central Luzon to make their purchase. Why? I’ll let others weigh in with their opinions, but pricing and inventory availability are two possible items that can be much easily ascertained by buyers thanks to transactional digital communication with dealers. Want to know how your dealership location performed in our study? Check the series of infographics that showcase the likelihood of your customers purchasing from other locations. 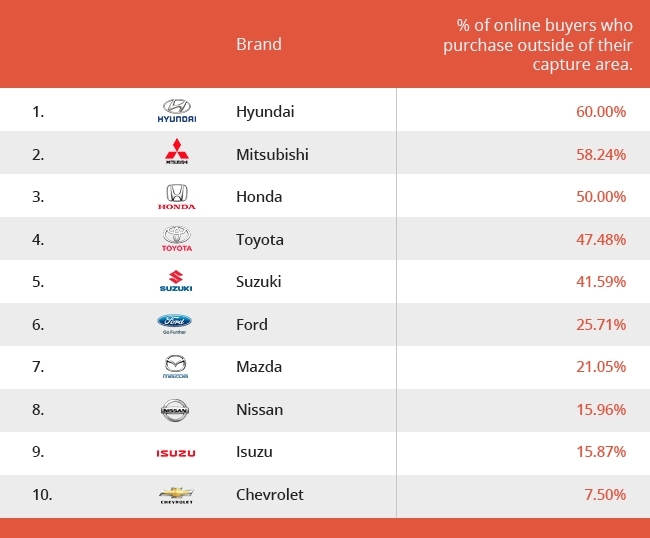 In addition to this; we also found variance for buyers purchasing from different brands. Results showed that top market-share brands with a high volume of dealers (Like Hyundai, Mitsubishi, Honda, Toyota) were more likely to have their customers shop around than brands with smaller dealer networks like Chevrolet, Mazda and Nissan. Other internal factors such as strategic placements of much larger dealer-group capture areas who implement standard one-pricy policies across their network of dealers may also have helped keep numbers down for some brands. So what can dealers do to reduce customers hemorrhaging to other locations? The first would be to increase accessibility online to your dealership and ensure that you’re team are delivering the best standards of digital communication with your prospects. With tools like AutoDeal’s Lead-Management System, we can now easily detect the best response times among your agents. However while response time is important, dealers should not ignore other best practices such as evaluating the quality of communication provided by their teams, engaging in efforts to encourage follow-up and implementing rigorous re-marketing programs. In closing, geo-location of dealers is still relevant (and will continue to be relevant for many years), but it’s less relevant than it was ten years ago. Many customers will still prefer to travel a shorter distance to shop, but they will be shopping around to get the price and most preferred vehicle (i.e. getting the color they want). If you’re not available online, you may be losing the opportunity of first-touch and unwillingly undermining your online sales efforts.